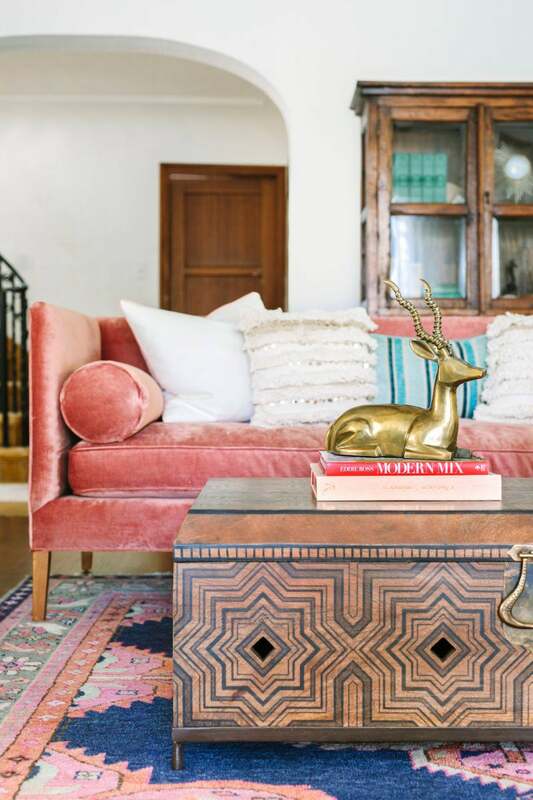 You may consider yourself an expert when it comes to the ins and outs of styling a coffee table, but how seasoned are you in the art of buying a coffee table? No matter how many trinkets, trays, and books you layer on top, there’s no disguising bad furniture. Instead of considering a coffee table as an artful opportunity for a ’grammable living room moment, think of it as an anchor for your space. Every piece of furniture that surrounds it (sofa and area rug included) looks to the coffee table for stability. Suffice it to say, what you put on top is just as important as the surface itself. Finding the right coffee table comes down to knowing where to start. To take the stress out of your shopping journey, we rounded up the fail-proof brands with the best selections for every budget and style. Your search starts here. What to know: Coming Soon has fast become an NYC staple with its unique and curated selection of vintage furnishings. While its selection is constantly changing, you’ll never fail to find an acrylic coffee table. What to know: Millennial-friendly and apartment-approved, Urban Outfitters’ trendy selection of tables is especially fitting for small spaces. Bonus: A number of its clever pieces come with built-in storage. What to know: Up for a splurge? Egg Collective’s pickings might be small, but what the furniture studio lacks in variety, it makes up for in beauty and material ingenuity. What to know: Scandinavian design enthusiasts who are over Ikea need not look further. While Hay’s streamlined tables won’t necessarily steal the show, they’ll win over your heart with their durable design and Nordic soul. What to know: CB2’s stylish coffee table range spans everything from solid concrete slabs and jet-black drums to braided jute poufs and peekaboo benches. Often infused with a touch of glam, you won’t have to look too hard for your dream focal point. What to know: With a focus on material (think cool metals, woods, and marble), Industry West’s coffee table collection has a classic, urban appeal. The brand boasts a strong range of nesting tables as well as other surfaces with hidden layers and storage-friendly surprises. What to know: Hand-embossed wood, tinted glass, and brass-capped legs are just a few detailed treatments you’ll find in Anthro’s charming mix, which offers nods to styles of the past with a 21st-century twist. What to know: Need a coffee table that’s going to fill up space? Arteriors luxe-looking pieces, which predominantly comprise of classic materials like brass, bronze, leather, and glass, were seemingly designed with larger living areas in mind. What to know: For affordable living room staples on the fly, Ikea is a great source for budget-friendly tables that will blend with any existing decor scheme. What to know: Resident, Gubi, and Menu are just a few design-centric brands that HORNE has at its disposal. There’s always one thing about the tables it carries that’s sure to turn heads, be it an unexpected splash of color or quirky leg configuration.